Finally had the opportunity to catch "Hostiles" last night. When it was in theaters I couldn't get my wife to go. Once she (we) got past the first five minutes it was a great story and really well done. Mulholland Drive... in all its David Lynch weirdness. 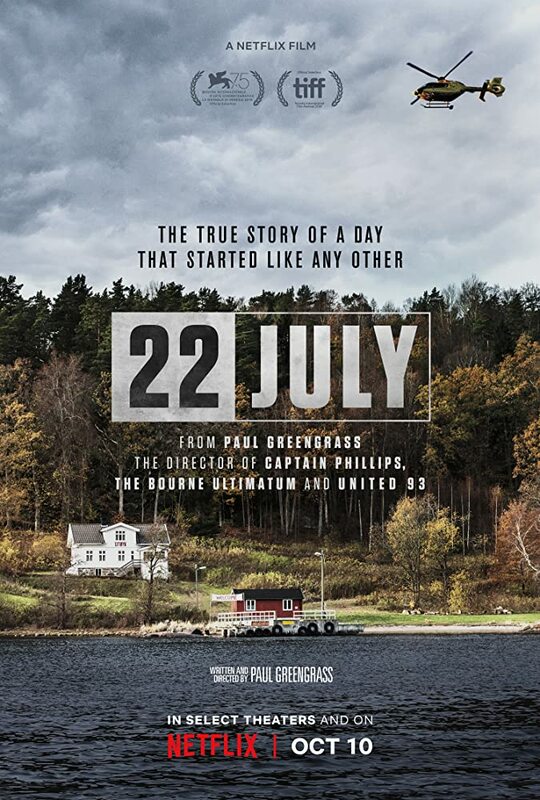 A horrifying but well done movie about the terrorist attacks in Norway (2011) that left 77 dead, 69 of them teenagers. Some scenes are graphic and hard to watch. Big fan, among my favorites. Just returned from seeing "Green Book". One of the more enjoyable releases this year. Both Mahershala Ali and Viggo Mortensen give very entertaining performances. Yes, it is a bit predictable yet it keeps you interested throughout. ‘Instant Family’ is a feel-good flick that entertained in the usual fashion.